Smart, the car manufacturer that either invented the modern urban car or simply updated the BMW Isetta bubble car to work in today’s world, has announced what seems like a highly logical, inevitable, and, dare I say, “smart” step: All smart models will now come with a full EV drivetrain as an option. Smart cars are, in many ways, brilliant. 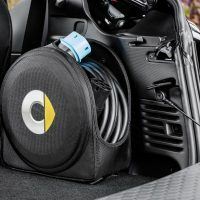 They’re small, efficient, safer than you’d expect and, in short, pretty close to perfect for driving in small, claustrophobic city environments. 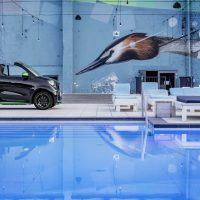 A smart fortwo doesn’t really seem like an ideal ride for a road trip from Detroit to New Mexico, but going across Paris (or Denver) in the middle of traffic is a much more workable plan. 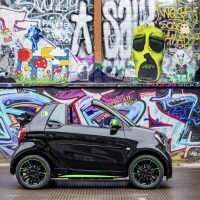 Smart says the new drivetrain options are an “ideal combination for urban mobility” and it’s hard to disagree. 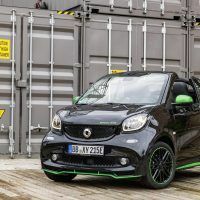 The smart fortwo electric drive is now available on the new-generation platform in both coupe and cabrio models and, for the first time, in the smart forfour. The forfour is the “big sedan” four-seater that is, sadly, not available in the United States. 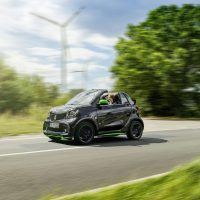 At this point, smart will be the only car manufacturer in the world to offer both combustion engines and pure battery-electric drive across its entire model range. 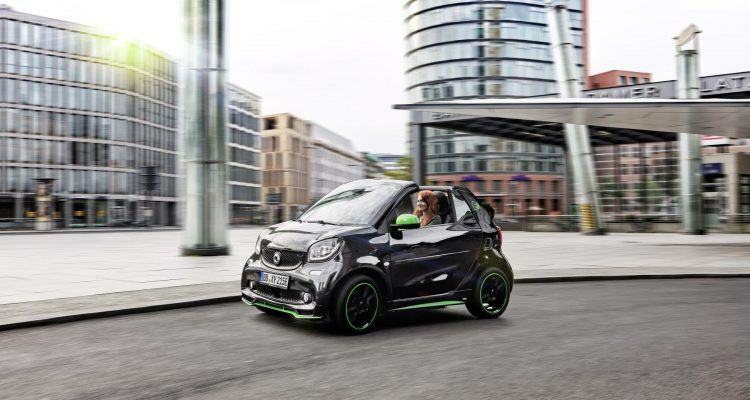 Curiously, smart says the fortwo cabrio ED is the only electric cabriolet on the market. Which is technically true, since Tesla no longer makes new Roadsters. According to Winkler, features like this give smart an advantage in the market. 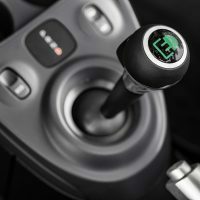 “Together with lots of smart fans and enthusiastic drivers of the predecessor generations, we are looking forward to the unique driving fun offered by the new smart electric drive at very attractive prices, especially in countries where there is a buyer’s premium,” she said. Spec-wise, smart says the electric drivetrain cranks out 80 horsepower and 118 lb-ft. of torque. Not Earth shattering, but in a car this small and relatively light, that’s not bad at all. 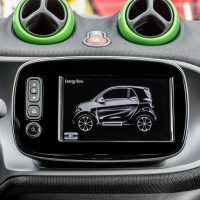 Smart says the drivetrain “boasts exceedingly agile acceleration.” That is a strange combination of superlatives given the power available, but, okay, we’ll go with it. I know, the big bugaboo about electric cars: Range. 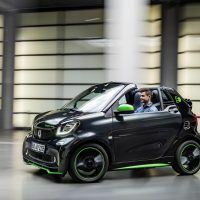 Smart says that fully charged, the battery has sufficient power to cover approximately 99 miles (160 kilometers) in accordance with the NEDC standards. Okay, so that’s not cross country range, but given the market smart is aiming for – inner city driving and commuting – that seems like it should be adequate. Smart was also careful to note those range figures do not apply for the U.S. market. “U.S. 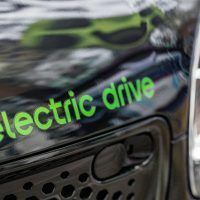 range and overall electric motor specifications will be announced at launch,” reads a statement from smart. I would be very, very surprised if there was much variance in these figures from Euro to U.S. models. The smart electric drive will celebrate its world premiere during the Paris Motor Show. 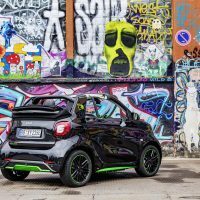 Market launch of the smart fortwo coupe electric drive will start in the U.S. in the spring of 2017. 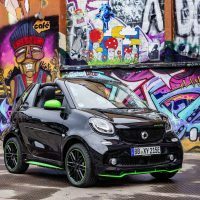 The smart fortwo cabrio electric drive arrives in the summer of 2017. Tony Borroz has spent his entire life around racing antique and sports cars. He means well, even if he has a bias towards lighter, agile cars rather than big engine muscle cars or family sedans. 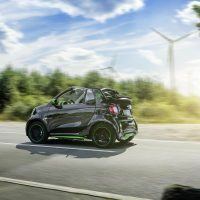 No Comments on "smart Debuts New Electric Drive Technology"